WE ARE DEDICATED TO IMPROVING YOUR FITNESS. NO GYM SESSION IS TOO BIG OR TOO SMALL, IT’S WHAT WORKS FOR YOU THAT COUNTS. WE UNDERSTAND IT CAN BE A CHALLENGE TO MAINTAIN A ROUTINE WEEK IN, WEEK OUT. OUR GYM IS KITTED OUT WITH THE LATEST EQUIPMENT TO HELP YOU REACH YOUR PERSONAL FITNESS GOALS AND KEEP YOU MOTIVATED. OUR GROUP EXERCISE CLASSES ARE A GREAT WAY TO GET IN SHAPE WITH OTHERS WHO SHARE THE SAME GOALS AS YOU. 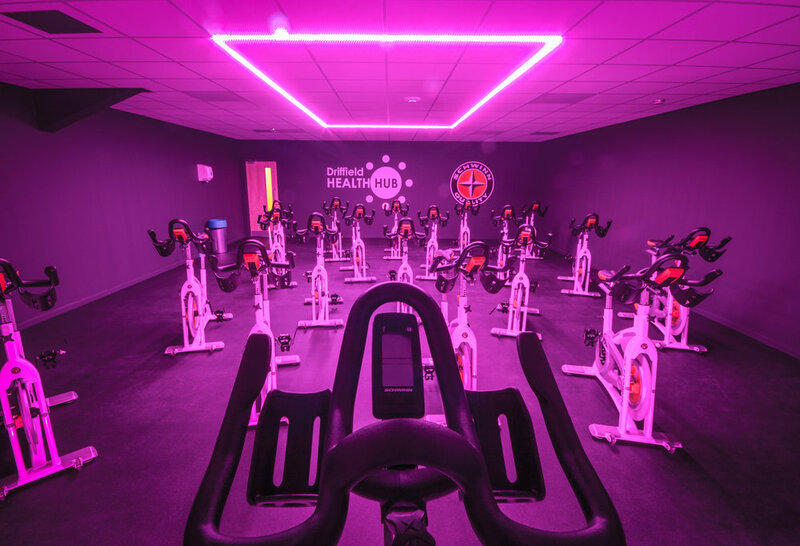 OUR LADIES GYM AREA INCLUDE A FULL RANGE OF WEIGHTS AND OTHER GYM EQUIPMENT, SO WE CAN OFFER A FULL GYM EXPERIENCE IN A MORE PRIVATE LOCATION. OUR WOMEN ONLY GYM OFFERS PRIVACY TO WOMEN WHO PREFER TO EXERCISE WITHOUT WORRYING OR FEELING SELF CONSCIOUS. OUR LOCAL FAMILY RUN CAFÉ IS THE PERFECT PLACE TO MEET FRIENDS, REFUEL OR JUST RELAX AND GRAB A COFFEE! OUR FRIENDLY STAFF ARE HIGHLY SKILLED AND WILL DELIVER BARISTA STANDARD BRAZILIAN COFFEE STRAIGHT FROM BEAN TO CUP, WE HAVE PARTNERED UP WITH RIJO 42 AND TEA PIGS TO DELIVER THE HIGHEST QUALITY AND BEST TASTING HEALTHY REFRESHMENTS ON THE MARKET! WE LOOK FORWARD TO YOU STOPPING BY! Physiotherapy is designed to help you develop, maintain and restore maximum movement and functionality throughout life. This includes rehabilitation where movement and functionality are threatened by ageing, injury or disease. 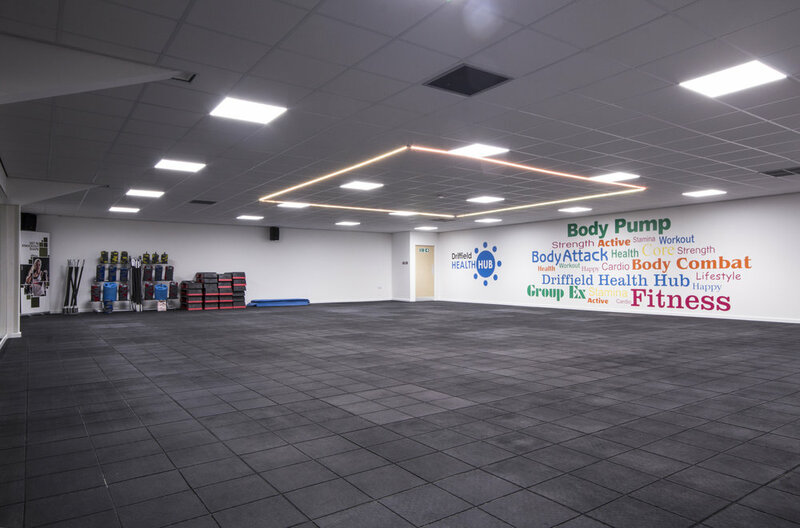 At Driffield Health Hub we can identify any problems and help to improve your quality of life by treating, rehabilitating and prevention of further related injuries. Using knowledge and skills unique to physical therapists, we create a rehabilitation programme tailored to your specific needs to rehabilitate following an injury and help prevent them from recurring in the future. This is especially important for work related injuries, as work can often mean repetition which leaves joints more prone to injury.